Lincoln Gabriel Diaz-Balart, nephew of U.S. Rep. Mario Diaz-Balart (R-Fla.), died Sunday at the age of 29, The Miami Herald reports. Diaz-Balart was the son of Lincoln Rafael Diaz-Balart (R-Fla.), a former congressman who retired in 2010. 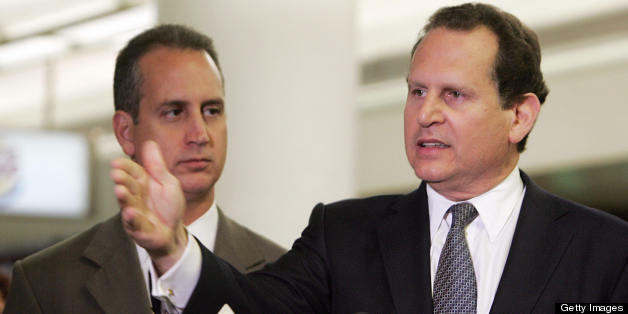 The Diaz-Balart family are Cuban exiles currently living in Miami. They are well known for their political power and ties in Florida. Mario Diaz-Balart is a five-term congressman and former nephew by marriage of Fidel Castro, according to the Tampa Bay Times. The office of Rep. Mario Diaz-Balart referred HuffPost to the statement sent by Lincoln's family and his wife Cristina to The Miami Herald, saying that it is the only statement being made presently and the congressman is spending time with his family. U.S. Rep. Ileana Ros-Lehtinen (R-Fla.), a long time friend of the family, expressed her sorrow on Twitter saying "Thinking of mi hermano @LincolnDBalart during this trying time. My prayers go out 2 u + ur family. LG is still in our hearts." Along with Dexter and the rest of the Lehtinen family, I send our profound condolences to Lincoln, Cristina and Danny on the inconsolable loss of LG. During this time of overwhelming grief and sadness, the Diaz-Balart family can find solace knowing that their beloved son, brother and nephew is now by his Creator’s side. While LG’s time on this earth was short, his love will forever be present in the minds and hearts of those who knew and loved him.